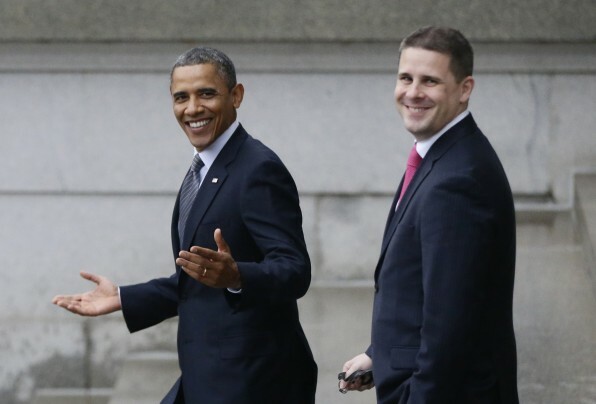 Soon after Inauguration Day, Dan Pfeiffer moved his blue blazers and Barneys ties from the back of the West Wing press area to more spacious digs across from the office of his predecessor and mentor David Plouffe. Pfeiffer may not inhabit Plouffe’s airy space, but he is expected to fill his expansive role. It is a big job for a 37-year-old who has spent his entire career as a communications operative, and whose breadth of experience is considerably narrower than that of predecessors whom Democrats revere as icons of Oval Office advice. But if Plouffe was the electoral engineer and David Axelrod before him the molder of President Obama’s message, ­Pfeiffer, who has outlasted nearly everyone else, is entrusted to safeguard the president’s image and legacy. Pfeiffer is well aware of the widespread criticism that his communications shop did a lousy job of pitching Obama’s accomplishments during his first term, but he argued that the Recovery Act was tough to hawk as the country hemorrhaged jobs and that health-care reform “has bedeviled every president and political operative who has tried to sell it.” His new role requires him to come out front and do the selling. Many of the reporters who have received mocking 4 a.m. nastygrams and abrasive phone calls from Pfeiffer over the years relished his May debut on all five Sunday morning talk shows. It was not a command performance. His clenched jaw and clumsy construction that “the law is irrelevant” in the IRS scandal is now featured in a reelection ad for the administration’s arch nemesis, Senate Minority Leader Mitch McConnell (R-Ky.). Pfeiffer is considerably more comfortable advising Obama behind the scenes. Plouffe called him the “gut-check person” who could tell the president “how it is going to play.” White House Chief of Staff Denis McDonough said that after a background-check provision for gun purchases died in the Senate, Pfeiffer urged the president to show his disgust with the system, which Obama then did in a Rose Garden speech. McDonough said that Pfeiffer understood, months before members of the national security team, that the president’s reliance on drones could blemish his legacy. Pfeiffer advocated for a speech, which Obama delivered late last month, in which the president would clearly articulate the framework of presidential powers within which the drones were employed. And Jennifer Palmieri, Pfeiffer’s successor as communications director, said he stepped up for the party’s base by fighting for a lower threshold for tax increases in the “fiscal cliff” negotiations. Pfeiffer said his communications experience has made him more mindful above all of projecting the president’s strength. The 2011 debt-ceiling negotiations, he said, showed him the importance of Obama not being perceived as weak or taking the base for granted. That is, of course, precisely the situation Obama is in again, as civil liberties advocates on both ends of the political spectrum criticize his aggressive surveillance programs. Some people who have worked with Pfeiffer questioned whether he is up to the task, describing him as more a daily planner than a long-term strategist. Others with knowledge of the administration’s inner workings find the characterization of Pfeiffer as the base’s champion in the budget deliberations exaggerated and said he played no role in frequent White House discussions on gun policy strategy. The long view of the president is changing by the day. The National Security Agency revelations, coming so soon after the Internal Revenue Service controversy and the Justice Department investigations of journalists, have changed the hope candidate into the panopticon president. Add to that the near-total Republican intransigence to the administration’s legislative agenda, and there is logic in Obama turning to the White House’s in-house image consultant to protect him for posterity. “I’ve never seen him,” said one leading gun-control advocate. The climate of crisis that has descended on the White House in the past month is exactly the sort of political storm that attracted Pfeiffer to politics. The perennially buzz-cut operative has spent his entire career striving to get exactly where he is right now. From then on, Pfeiffer’s made returning to the White House his mission. He won a fateful spot in the 2002 campaign of Sen. Tim Johnson (S.D. ), where he became close to many of his future Obama colleagues, among them Sarah Feinberg, who would become his wife. Like many of them, Pfeiffer shifted over to South Dakota’s powerhouse senator, Tom Daschle, who remembered his aide’s “extraordinary stamina.” Pfeiffer expected Daschle to run for president, but on his way to the airport for the senator’s anticipated announcement speech, he received a call informing him that the bid was a no-go. Pfeiffer turned around and went to the movies. The only thing playing was “About Schmidt” — a poignant widower’s tale starring Jack Nicholson. “It was so freaking depressing,” Pfeiffer said. Soon after Daschle’s unsuccessful reelection campaign, the operative got a call from media consultant Anita Dunn, who connected him with Evan Bayh, a senator from Indiana who had designs on the White House. But Bayh, too, opted out. In 2006 — the year Pfeiffer married Feinberg — Pete Rouse, Daschle’s chief of staff, called Pfeiffer to assure him that Barack Obama’s presidential ambitions were real. Pfeiffer has repaid Obama with unyielding allegiance for returning him to the White House. He succeeded Dunn as White House communications director in 2009, played a key White House liaison role in the reelection, and took his current post in January. Pfeiffer’s past subordinates, among whom he engenders intense loyalty, have reported “death stares” but also less serious rebukes for not following his chicken-tenders-on-debate-night superstitions. Pfeiffer in some ways reflects his no-drama boss. They share peripatetic backgrounds. As a young child and middle-school student, Pfeiffer left Wilmington, Del., with his family to follow his father, a DuPont executive, to Brazil and Japan. Pfeiffer, too, is visibly pained by socializing, often staking out a corner at parties with one hand in his blazer and the other wrapped around a beer. (One former colleague compared his personality to his home state of Delaware: nice, solid, forgettable.) He makes no fuss about Alyssa Mastromonaco, the White House deputy chief of staff, getting Plouffe’s office. When he’s not at work, he spends most of his time playing basketball and watching games at Georgetown or even local high schools. He’s a voracious reader, recently recommending “The Art of Fielding” to Palmieri and “The Yellow Birds” to McDonough, and is into hip-hop (he’s big on Kendrick Lamar). Pfeiffer met friends that afternoon for brunch at Commissary in the Logan Circle area, where he is moving. The next morning, Obama congratulated Pfeiffer on his “heroic effort” for doing all the shows, Palmieri said. But, as Pfeiffer maybe could have foreseen, there was more to come. That morning, White House press secretary Jay Carney revealed that a slew of senior officials knew earlier than previously reported about the allegations of inappropriate IRS targeting, exactly the sort of thing Pfeiffer might have mentioned on national television. Critics talked about the administration’s naivete and wondered about the extent to which Pfeiffer was in the loop. “It’s not like Dan went out there Sunday knowing probably every piece of news that Jay had,” Plouffe explained. White House officials first played down Pfeiffer’s knowledge of the disclosures, saying he was aware of the general outlines but not briefed with bullet points. They then embraced a different talking point, one Pfeiffer returned to several times during the interview in the White House.